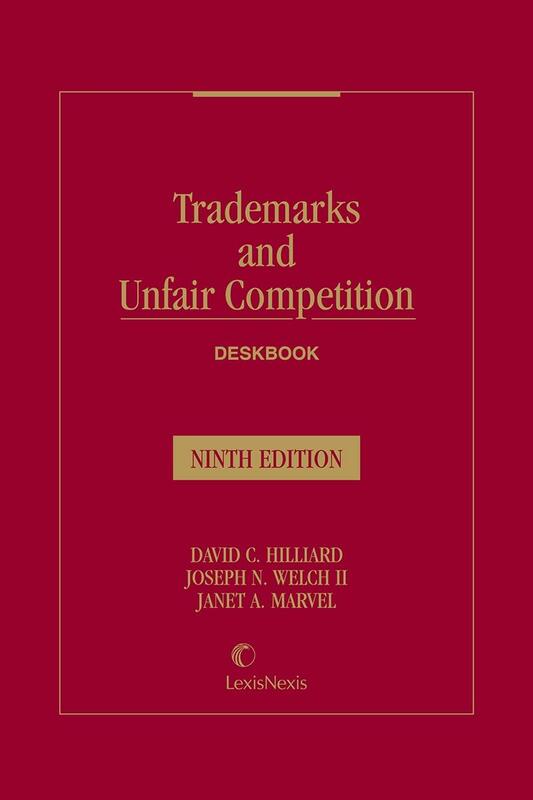 The Trademarks and Unfair Competition Deskbook, Ninth Edition provides practitioners of trademark and unfair competition law an organized guide to the decisions, legislation, treatises, and commentary, a delineation of the principal questions and problems to be expected, and an up-to-date synthesis of the current and developing law. The explosion in litigation affects every chapter. The internet has sparked phenomenal growth in the importance and scope of trademark and unfair competition law. Effective branding − creating and maintaining a strong commercial identity that cuts through the noise and connects with consumers − is more important than ever. 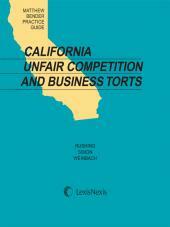 At the same time, constitutional issues – pertaining to the Commerce Clause, the Patent and Copyright Clause, the Supremacy Clause, and the First Amendment – are reshaping modern trademark and unfair competition law, have been outcome-determinative in many high-profile cases, and are fueling influential debates in the academic literature. There continues to be an overall sense of excitement as the law responds to new technologies and increasingly sophisticated forms of communication. The Supreme Court is regularly deciding important intellectual property issues, as evidenced by the several recent decisions discussed in this Ninth Edition. This Ninth Edition explores the continuing tension between the First Amendment and protection of trade identity, particularly in right of publicity cases. Chapter 8 is devoted entirely to First Amendment issues. Material is also provided on the Federal Trade Commission, which has been actively battling deceptive advertising and marketing schemes and data breaches, as well as material on other governmental agencies such as the Food and Drug Administration. 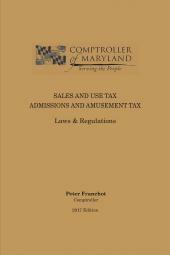 This Ninth Edition is unique among intellectual property resources in structure, conciseness and content. In part this is because, in addition to having taught the subject for many years at top law schools, the authors actively litigate intellectual property cases across the U.S.
David C. Hilliard is a senior partner of Pattishall, McAuliffe, Newbury, Hilliard & Geraldson LLP and a trial lawyer, expert witness and mediator in Intellectual Property matters. He has tried cases throughout the United States and argued appeals in all but one of the U.S. Courts of Appeal. He has served for many years as a lecturer on Advanced Trademarks and Unfair Competition Law at the University of Chicago and as an adjunct professor at Northwestern University Pritizker School of Law. 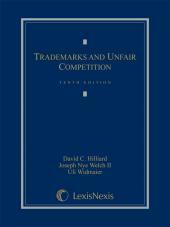 David is the co-author of two books on Trademark and Unfair Competition, this Deskbook (LexisNexis 2017) and a law school course book (Carolina Academic Press 2016). Janet Marvel is a partner at Pattishall, McAuliffe, Newbury, Hilliard and Geraldson, LLP Her practice is broad-ranging, focusing on litigation, including anti-counterfeiting actions. Janet has a specialty in creating comprehensive brand plans, many for Fortune 50 companies. She also has particular expertise in protecting and enforcing trade dress. Janet serves on the Editorial Board of Landslide®, the ABA's Intellectual Property Section magazine, as the Intake Editor. Janet has taught Trademarks and Unfair Competition at Northwestern University Pritizker School of Law and guest lectured at the University of Chicago and Chicago Kent College of Law. She is a graduate of Indiana University, Phi Beta Kappa, and the University of Michigan Law School. 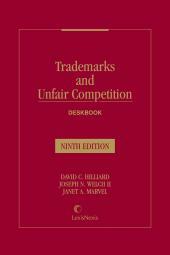 Joseph N. Welch II is a partner at Pattishall, McAuliffe, Newbury, Hilliard & Geraldson LLP in Chicago, a recognized leader in the Intellectual Property field and the co-author of two books; this single volume Trademark and Unfair Competition Deskbook (LexisNexis 2017) and the law school course book, Trademarks and Unfair Competition (California Academic Press, 2016). He has taught that subject as an adjunct professor at Northwestern University Pritzker School of Law for over 20 years. 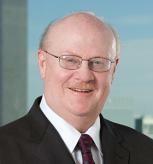 He has handled over 100 arbitrations in addition to his extensive trial practice.